Emily talks about her life in publishing and the idea of making fantasy into reality, not the other way around. Emily Belden is an author for powerhouse publisher, HARLEQUIN. She inked a two-book deal with them in 2016, and her debut novel BURNED will come out in 2017 via their imprint, Graydon House. In 2018, HUSBAND MATERIAL will be released. Born and raised in Chicago, Emily tiled her bedroom floor in over 60,000 pennies – all heads up for good luck. Local media heard about The Penny Floor and ran the story, which was eventually picked up by The Today Show, who interviewed her live on their show. Her journey has since been chronicled by Michigan Avenue Magazine, The Chicago Sun Times, and many other media outlets and blogs. 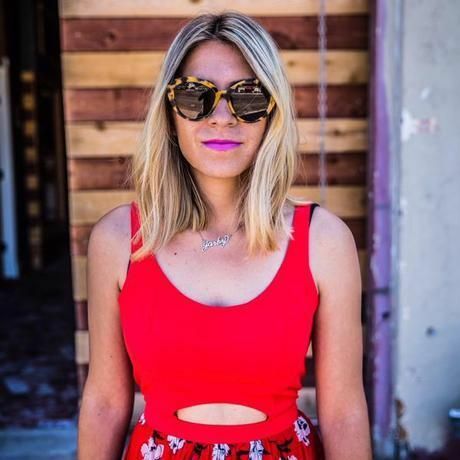 She is repped by famed literary agency, Browne & Miller, as well as 44 Blue Productions out of Burbank, who is adapting her memoir into a comedic series.She currently lives in San Diego and consumes approximately three Cali Burritos a week.